There was a wealthy man who loved his one and only son above all things. As father and son, they began to build an art collection together. Every spare minute they were out at auctions and sales acquiring rare works of art. Priceless works by Picasso, Raphael, Van Gogh, Monet and many others adorned the walls of the family estate. Within a period of some ten years, they had built one of the rarest, most valuable collections in the world. Then war broke upon them and a letter came one day informing the son he had been drafted into the army. The son, feeling compelled to serve his country as his father and grandfather had before him, went off to war. While he was away, the son wrote his dad every day. One day the letters stopped. The father's worst fears were realized when he received a telegram from the war department informing him son had been killed while attempting to rescue another soldier. About six months later there was a knock on the door. The father opened the door and saw a young soldier with a large package under his arm. The young soldier said, "Sir, you don't know me, but I am the man you son saved the day he died. While he was carrying me out of harm's way, he was shot through the heart and died instantly. Your son was my friend and we spent many nights just talking. He would talk about you and your love for art." The young soldier held out his package and said, "I know this isn't much, but I wanted you to have this painting I've done of your son as I last remembered him. 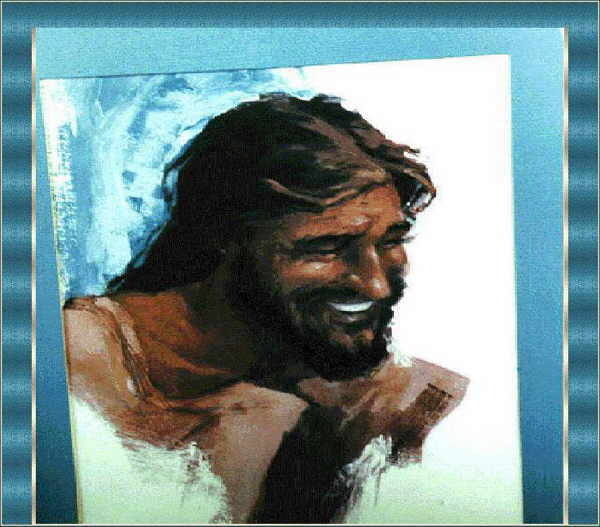 The father tore open the package and found himself gazing at a portrait of his one and only son. 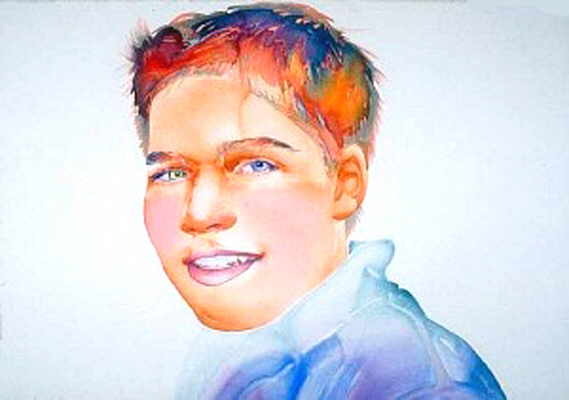 Fighting back tears, he said, "You have captured the essence of my son's smile in this painting and I will cherish it above all others. The father hung the portrait over the mantelpiece. When visitors came to his home, he always drew their attention to the portrait of his son before he showed them any of the other masterpieces. When the father died, news went out that his entire collection of masterpieces was being offered at an exclusive private auction. Collectors and art experts from around the world gathered for the chance of purchasing one of them. They were a little surprised when the first painting on the auction block was the soldier's modest rendering of the man's son. The auctioneer pounded his gavel and asked someone to start bidding. The sophisticated crowd scoffed and demanded the Van Goghs and the Rembrandts to be brought forth, but the auctioneer persisted: "Who will start the bidding for this painting? One hundred dollars? Two hundred dollars?" The crowd, waiting to see the more serious paintings, continued to hiss for the auction to move on. Still the auctioneer asked, "The son! The son! Who will take the son?" Finally a voice from the back said, "I'll bid ten dollars for the son." The bidder was none other than the young soldier whom the son had died saving. He said, "I didn't come with the intention to buy anything, and all I have is ten dollars to my name. But I'll bid my entire ten dollars for the painting." The auctioneer continued seeking a higher bid, but the angry crowd shouted, "Sell it to him and let's get on with the auction." The auctioneer pounded the gavel and sold the painting to the soldier for the bid of ten dollars. "Finally we can get on with the auction," someone from the second row bellowed. But right at that moment, the auctioneer announced, "The auction is now officially closed." The crowd was shocked and demanded to know how, when none of the "real" pieces had been sold, the auction could be over. The auctioneer simply replied, "When I was called to conduct this auction, I was told of a stipulation in the will of the deceased. I could not divulge that stipulation until now. According to the wishes of the deceased, only the painting of the son was to be sold today. And whoever gets this painting gets it all-every piece of art in the collection. So today, for ten dollars, the young soldier has bought one of the world's most priceless art collections and the entire estate in which it is housed. The auction is closed." And with the swing of his gavel, he left the crowd sitting in stunned silence, staring at the young soldier. Every time I think about this story, I think of how, like the father in the story, God is looking for people who value and appreciate His Son. Whoever receives the Son receives all of God's blessings. To the one who values His Son, He gives every good thing He has. And how do we value His Son? One of the primary ways is by taking time to hear Him. Hear His word of grace to us and hear what He has done for us through His sacrifice at the cross. God is looking for people who value and appreciate His Son. To the one who values His Son, He gives every good thing He has.